CricketTalk - Ashes Podcast: Can Yorkshire’s Joe Root lead England to victory over Australia? The Ashes: Let battle commence. AS cricket’s two great rivals prepare to go toe-to-toe once more Down Under, we take time out to preview England’s bid to retain the Ashes against Australia. 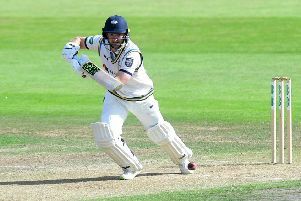 The YP’s cricket writer Chris Waters joins host Phil Harrison to discuss where the series can be won and lost over the next six weeks or so, the many Yorkshire connections and whether history will repeat itself in any way. All in time for Thursday’s opening day at the Gabba in Brisbane.